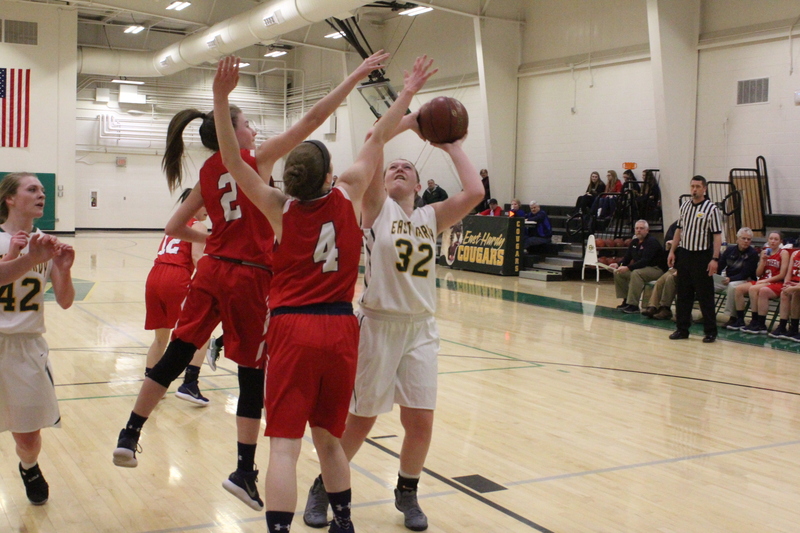 East Hardy senior Brooke Miller netted her 1,000th career point to provide one highlight of positivity to an otherwise rough contest ruined by the Lady Rams stomping through the Den for a 64-31 victory in Baker on Monday night. Entering the game, Miller needed only three points to reach the milestone mark and the magic number came with 53 seconds remaining in the second period. 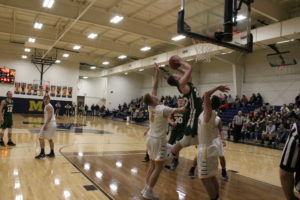 Southern Garrett took a 12-4 lead in the first quarter as five players Brooke Davis, Laina Holler, Courtney Roth, Kayla Harris and Hanna Owens (4) scored points while the Lady Cougars had baskets by Julia Hahn and Leanna Basye. 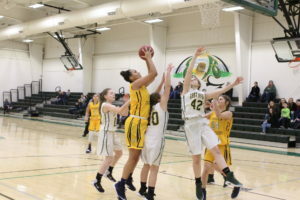 The Lady Rams went up 24-12 with two minutes and change left in the first half with the last points scored by Kayla Harris, two of her six markers in the frame en route to 14 points for the game. Hahn assisted Miller on a jumper at 1:38 and Basye stole the ball moments later, but Southern Garrett’s Rachel Reams forced a jump ball with Miller. Basye threw the inbounds pass to Miller, who had the position to collect the ball and lifted the ball into the hoop inside the paint with two Lady Rams defending to surpass the 1,000 point milestone with 53 seconds left and cut the deficit to 24-16. “It means a lot to me. I’ve been working really hard since freshman year, being able to start when I was a freshman. 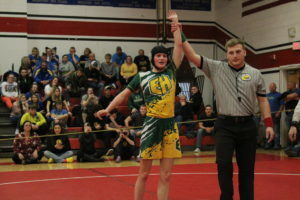 I’ve always tried to the best that I can do and I’m really glad I have something special to remember my senior year,” East Hardy senior Brooke Miller remarked.